SFC Lolan Hedrick, Jr., USA, Ret. SFC Lolan Hedrick, USA, Ret., age 70, of Copperas Cove passed away on Tuesday, April 2, 2019, at Baylor Scott & White Hospital in Temple. A Memorial Graveside Service will be held at 11:00 am, Wednesday, April 10, 2019, at Central Texas State Veterans Cemetery in Killeen. Lolan was born on March 1, 1949, in Washington, IN to the late Lolan Hedrick, Sr., and Helen Frazo Hedrick. He graduated from Barr Reeve High School in 1967. In 1969, he was drafted into the US Army where he served in combat during the Vietnam Conflict and later retired after more than 20 years of service. Lolan worked for AAFES for several years after his retirement. He married Cheryl Cooper December 23, 1972, in Washington, IN. Lolan loved spending time with his family and in his spare time he enjoyed cooking and fishing. Lolan was preceded in death by his parents; and eight siblings. 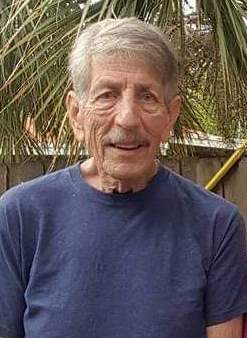 Lolan is survived by his wife of 46 years, Cheryl Hedrick; sons, Jesse Hedrick and wife, Jill, Jason Hedrick; brother, Jim Hedrick; and two grandsons, Austin Lee Hedrick and Dakotah Wayne Hedrick. In lieu of flowers, memorials may be given to the charity of your choice.